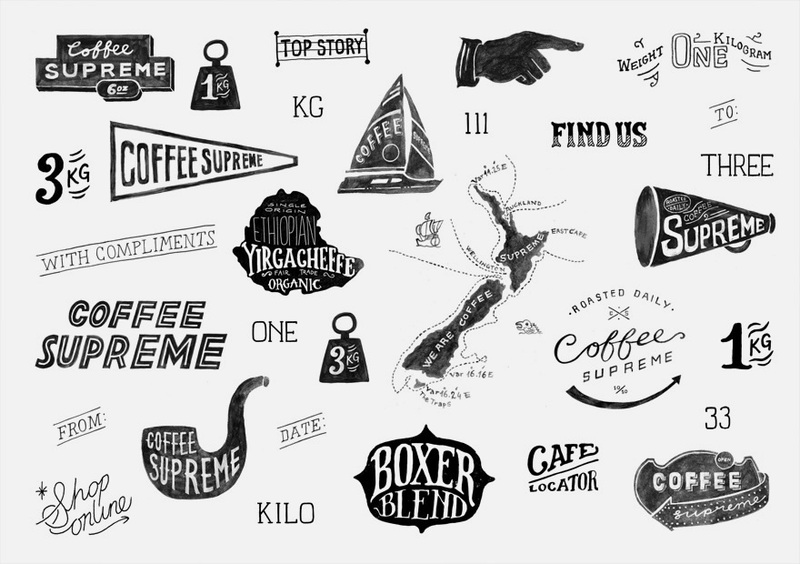 A series of characterful hand-drawn and painted illustrations for one of New Zealand's best and largest independent coffee roasters and suppliers. 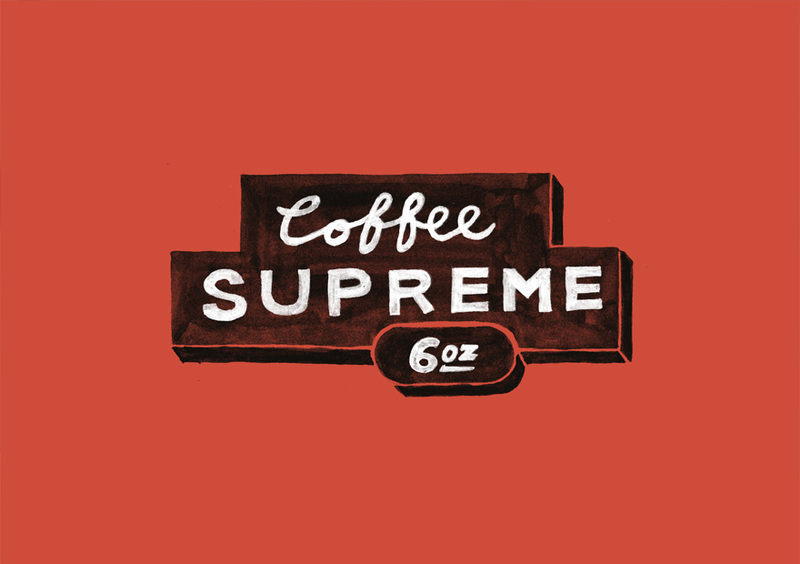 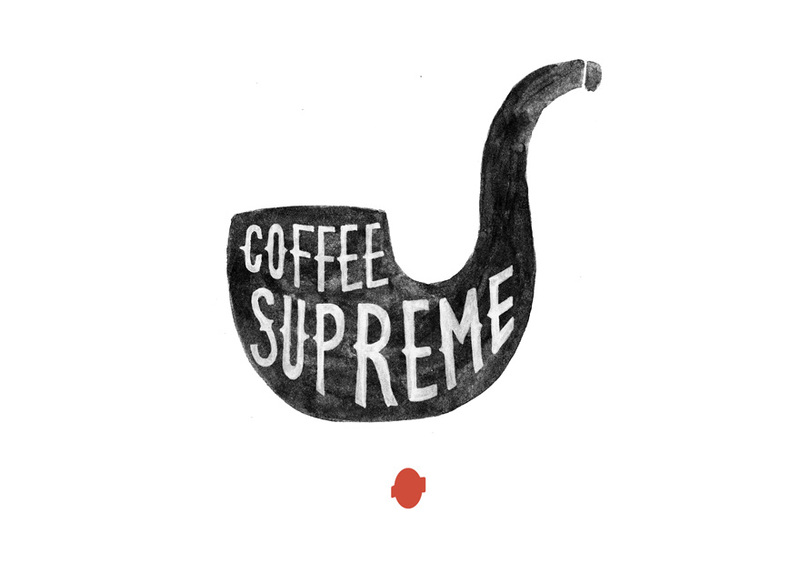 - A series of alternative 'logos' which all included the words Coffee Supreme, used on their take-out and ceramic cups, print collateral and merchandise. 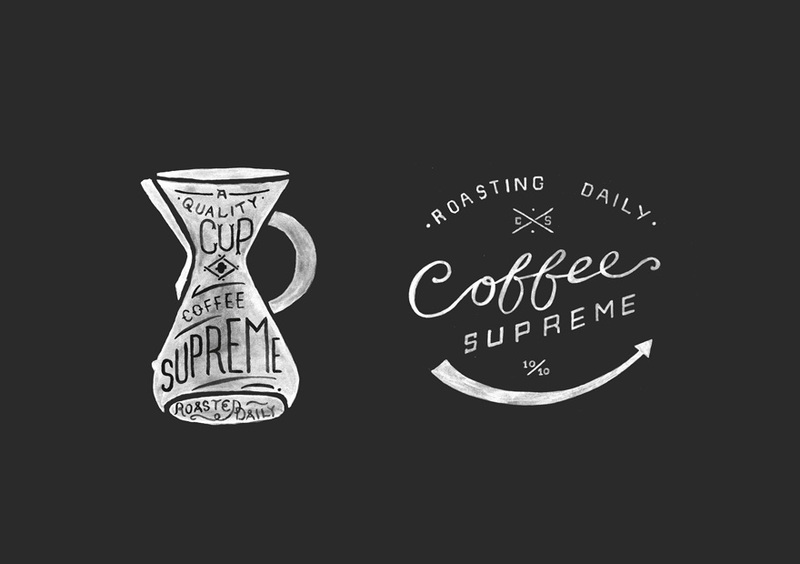 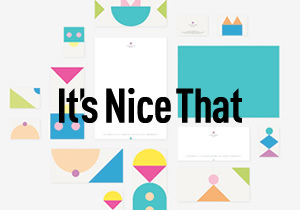 - Various hand-drawn typographic elements for titling on their print collateral and website. 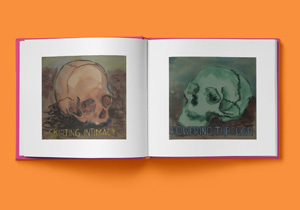 All illustrations were hand-drawn or painted in-house, using chalk, ink, paint, pen and pencil. 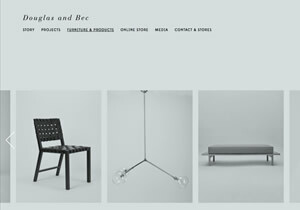 We avoided digital editing / manipulation as much as possible in order to retain their authenticity.